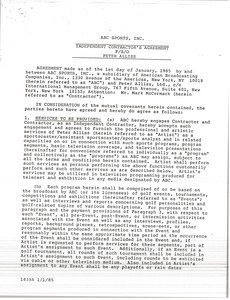 Contract noting the agreement between Peter Alliss and ABC Sports. 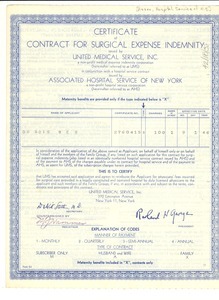 Toronto (Ont.) 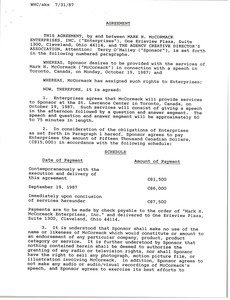 - Contract for Mark H. McCormack's speaking arrangement in Toronto. 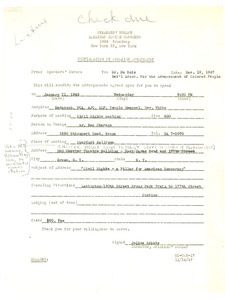 New York (N.Y.) - Confirming Du Bois's speaking engagement with them, and providing the location and time of the engagement. 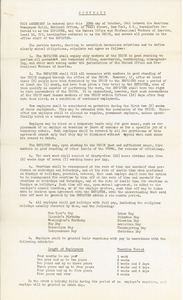 Contract stipulating terms of association between NG (employer) and United Office and Professional Workers of America (union). 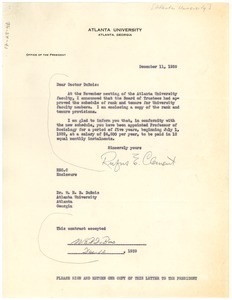 Atlanta (Ga.) - Rufus E. Clement announces to Du Bois that he has been appointed Professor of Sociology for a period of five years beginning in 1939. 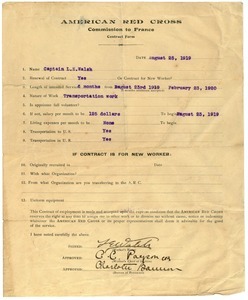 Contract signed and dated by Du Bois.